Modern organizations are increasingly moving to cloud solutions for productivity and storage. But what are the primary challen ges to making this shift and how’s the process going? 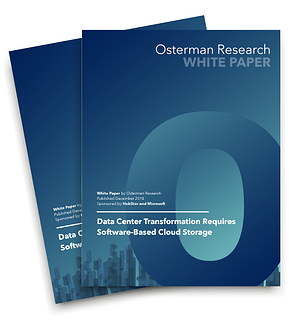 Recently, we co-sponsored a research paper with Microsoft, conducted by Osterman Research, to look at the state of data storage in today’s changing IT landscape. One of the biggest challenges is ineffective storage management, which is having an out-sized impact on IT budgets. This is a chain reaction that starts with large data volumes that keep increasing, with large percentages of that data being inactive. 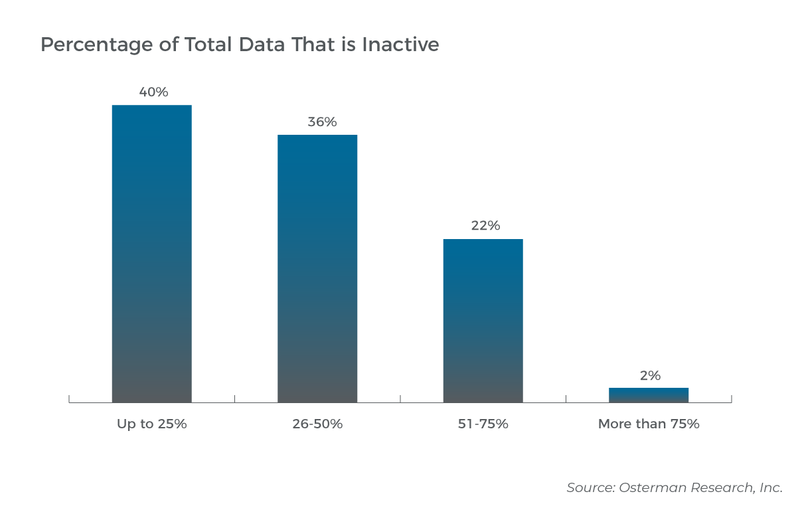 More than half of respondents indicated more than 25% of their data is inactive. The budget problem is perpetuated when inactive data are maintained in expensive primary stores and other less-than-optimal storage options. The answer? More effective data management and storage optimization. But while many organizations see the cloud as part of the solution, the shift will take time since more than 70% of organizations refresh storage infrastructure every 3-6 years. The volume of data being generated isn’t going to slow down. In fact, it’s only going to continue to increase. 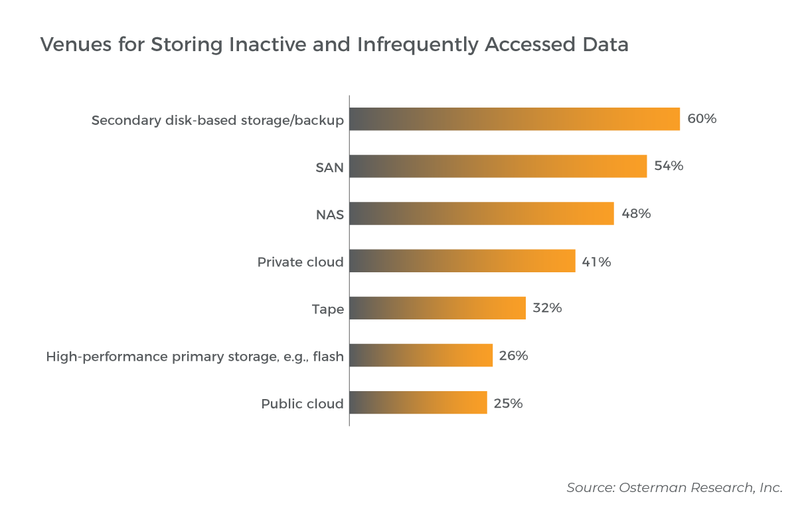 The Osterman study shows only 14% of companies have moved their data stores to the cloud from on-premises data storage. The advantage those companies have? 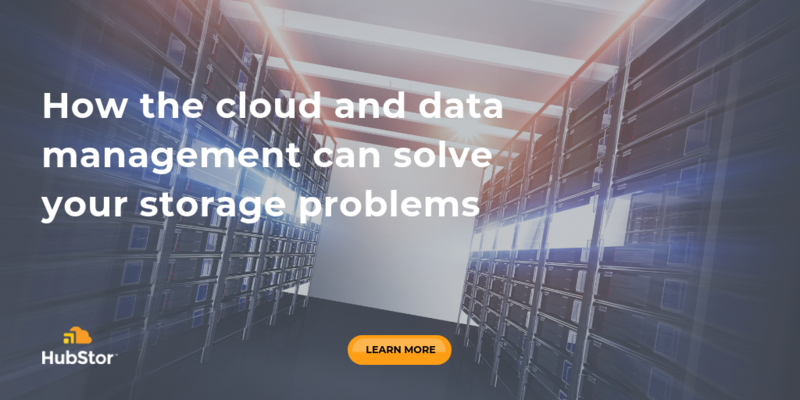 They’ve unlocked the opportunity to lower on-premises storage costs (hardware and ongoing maintenance/upgrades) without disrupting day-to-day operations. Next week, our own Geoff Bourgeois is sitting down with Michael Osterman of Osterman Research, hosted by George Crump of Storage Switzerland to talk about the results of Osterman’s research, what it means for IT, and how IT can leverage the cloud to alleviate data management and data protection concerns.